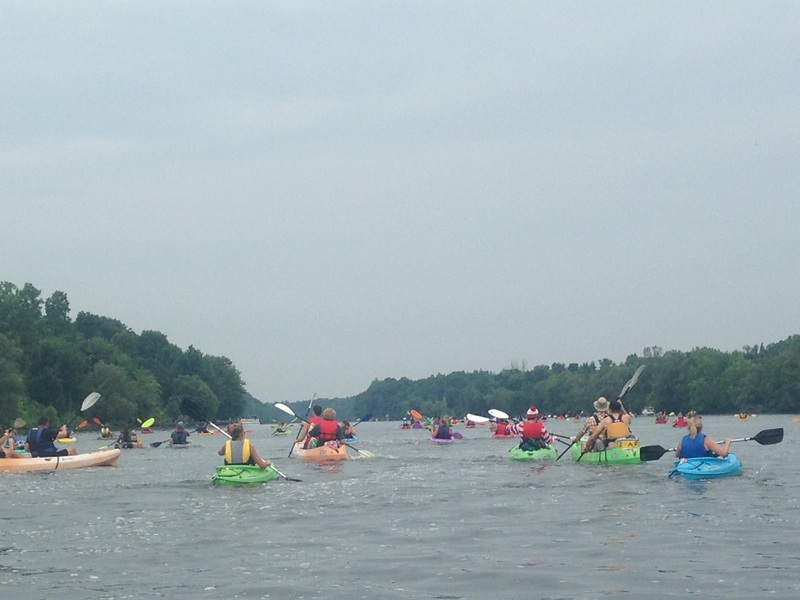 A flotilla of paddlers heads north on the Oswego River after passing through the lock in Minetto during last year’s Paddlefest. For more information, visit https://www.facebook.com/events/200912740593386/ or www.hlwmm.org. OSWEGO COUNTY, NY – In celebration of the 200th anniversary of the New York State Barge Canal, the H. Lee White Maritime Museum will hold the sixth annual Oswego Paddlefest on Aug. 18. Paddlers can choose one of two routes to paddle through four canal locks while they enjoy the unique beauty of the Oswego River. The Fulton launch is geared for experienced paddlers and starts at Indian Point at 30-minute intervals from 8:30 to 10 a.m. The route is approximately 13 miles and can take up to six hours. The shorter course, which launches at Minetto’s Riverview Park on State Route 48, is approximately 5.5 miles. Paddlers will launch from Minetto at 30-minute intervals from 8 to 9:30 a.m. Both routes will end at the museum’s Boating Center on the West First Street pier in Oswego. The event is recommended for paddlers age 14 and older. Minors between the ages of 4 and 13 may participate if they are a passenger in an adult canoe or kayak. Registration is $35 per person for adults and $10 per person for youth. The event is limited to 600 participants. Life jackets and whistles are mandatory, as required by New York State law. Paddle boarders are welcome to participate but must use an ankle or knee leash to secure their boards. Paddlers should arrive 30 minutes ahead of their specified launch time for either site. Pets are not allowed. Following the event, refreshments will be available for purchase at a nearby food vendor and at various Oswego restaurants. The registration fee covers event entry, insurance and related costs. Raffle tickets may be purchased at the event for an 11-foot Perception Rhythm kayak donated by Gateway Liquor and Wines of Fulton. Early event check-in will be available at the H. Lee White Maritime Museum, 1 W. First St. Pier, between 10 a.m. and 6 p.m. Aug. 17. 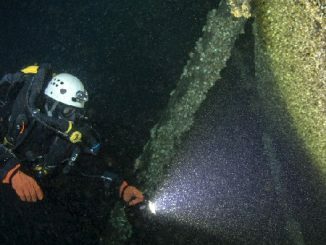 For more information visit the Maritime Museum’s Facebook page at https://www.facebook.com/events/200912740593386/ or museum website www.hlwmm.org or call the museum at 315-342-0480. A “family-friendly” version of Paddlefest is sponsored by Oswego Expeditions through a grant from the Erie Canalway National Heritage Corridor. Participants will paddle with a guide through Lock 8 in Oswego, launching at 3:30 p.m. Aug. 18. Registration for the family-friendly event is $10 per adult family member. Children ages four to 13 are free. For Oswego County visitor information, go to www.visitoswegocounty.com or call 1-800-248-4FUN (4386). I paid $50 for 2 tickets, glad I got them before the price went up!